Procession begins at the bell tower door. Dramatic Reading of the Passion, with musical accompaniment, after Communion. Procession begins at the Parish House front door. This is a simple pot-luck meal to gather, as Jesus and his disciples did, before we commemorate the Last Supper in the Eucharist. Meet in the Lower Room of the Parish House. We’ll be sharing this meal with the Christian Community. 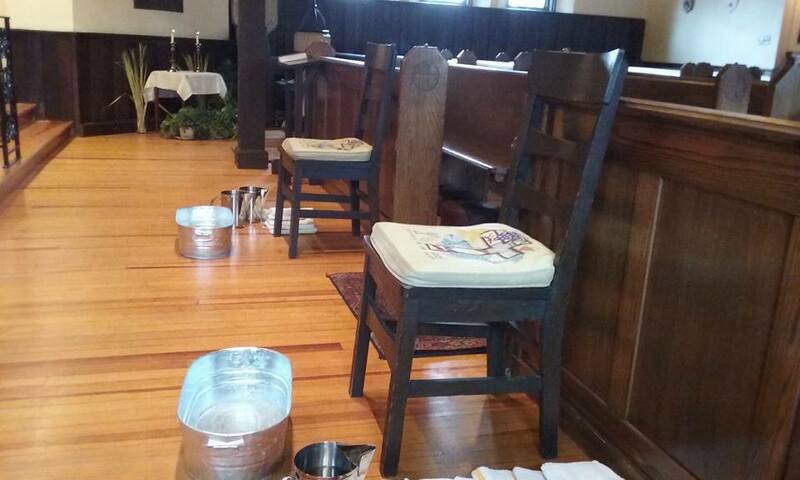 This service that commemorates Jesus’ Last Supper and the institution of the Eucharist, as well as our call to servant ministry in Christ’s name, symbolized by foot washing. If you plan to have your feet washed, please wear shoes and socks that are easily removable. At the end of the service we strip the altar of all linens, candles and hangings to symbolize the starkness of Good Friday. 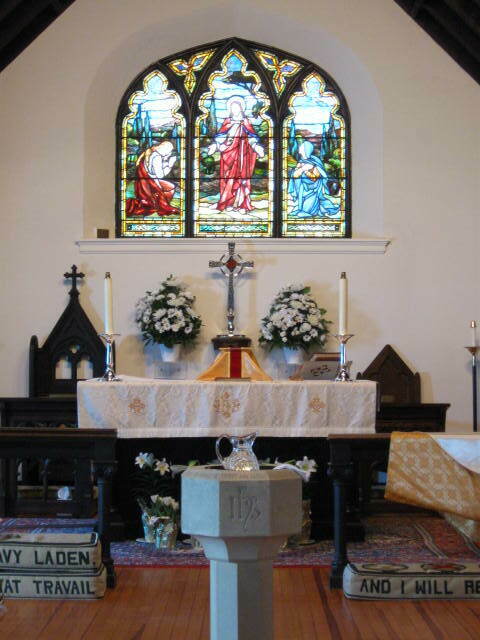 Come and keep watch in the Church with Jesus for thirty minutes at the Altar of Repose (Reserved Sacrament). Sign up on the sheet in the Narthex for a half hour prayer time. This interactive service for kids and adults moves throughout the Church, tracing Jesus’ journey to the Cross. At each Station there will be things to see, touch, sing, do and say. 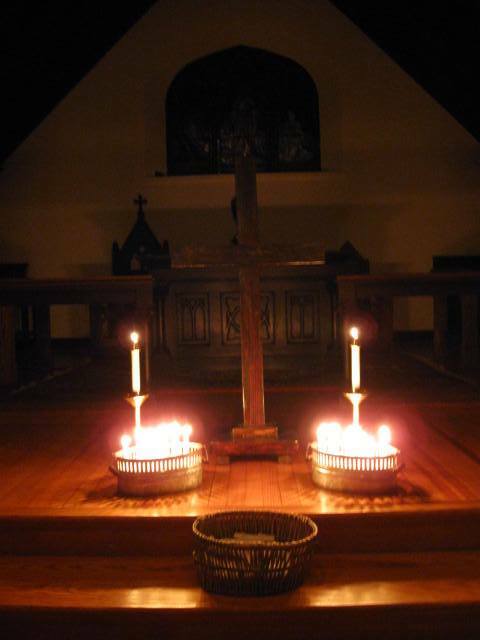 In starkness and simplicity we will reflect on Jesus’ death and sacrifice for us through Scripture, prayer, and hymns; music for violin, viola, and piano. 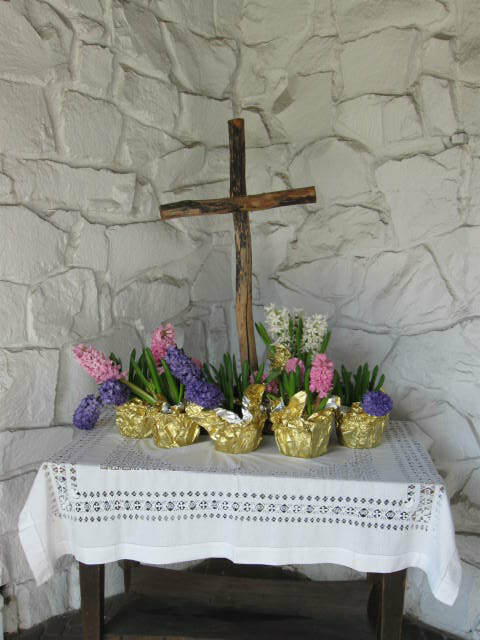 The Passion Gospel will be chanted, and we’ll venerate the Cross with lighted candles. The reality of Good Friday is difficult. Our participation in it makes Easter much more powerful and joyful. 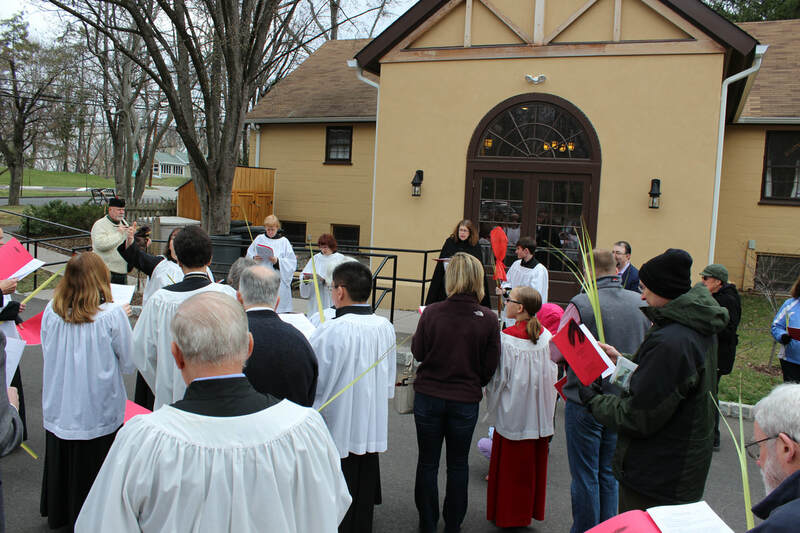 In the Memorial Garden we light the new fire of Christ’s resurrection and process into the Church with the Paschal Candle to hear by candlelight the story of our salvation, our deliverance from sin and death,renew our baptismal vows, and then celebrate the first Eucharist of Easter. Please bring a bell to ring! 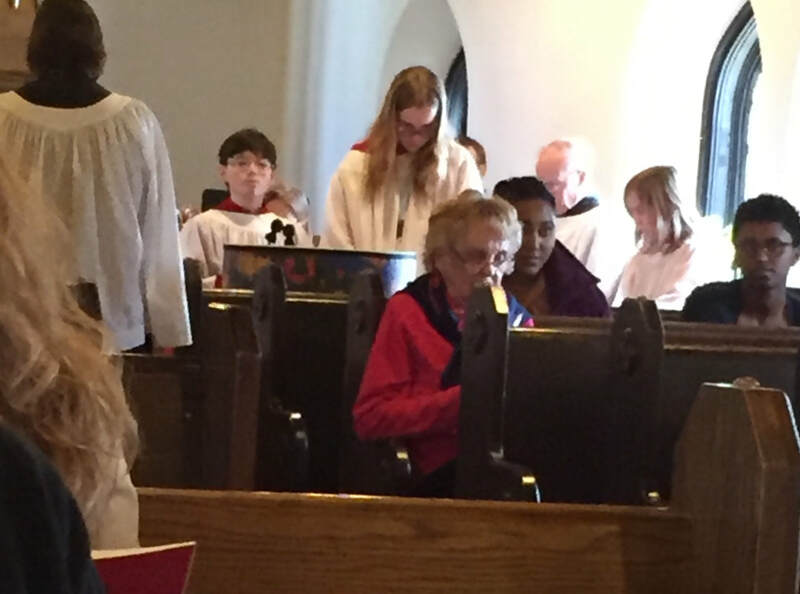 Hymns, flowers, choirs, Resurrection, Eucharist and joy at both services! All children will receive a flowering plant. 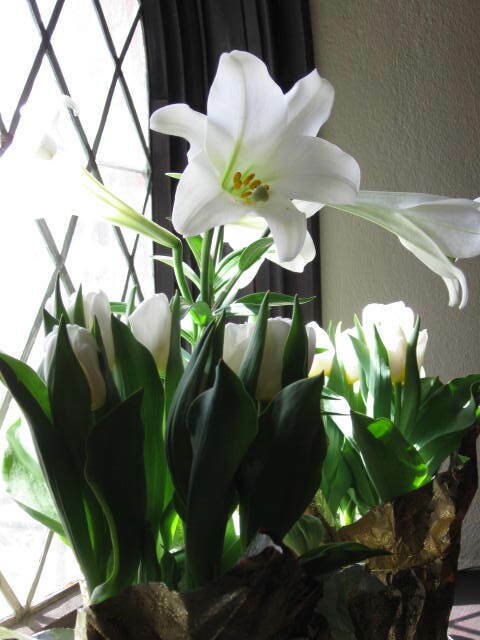 Easter is the most important day in our lives as Christians. Invite someone to Church to share it with you. Come and renew your faith!